A few weeks ago I came across a report published by a global research company . They were looking for what it is that motivates teenagers today. They interviewed over 7,000 teenagers from Spain, Brazil, Australia, America, and a few other countries to see what they said would spur them to action. As motivators, belonging is the desire for connection, relationships, and community; authenticity is the desire to see people and things for who and what they really are; and justice is the desire to stand up for something, to make the world a better place. Now, I want to consider a place where all 3 of those motivations come together. I think that we usually find them one at a time or bundled in twos, but a place that brings all 3 together is extremely hard to find. In fact, I would dare to say that they all come together in only place. You can find belonging and authenticity without justice. That's called a party. You can find authenticity and justice without belonging. That's called a charity. You can find belonging and justice without authenticity. That's called politics. 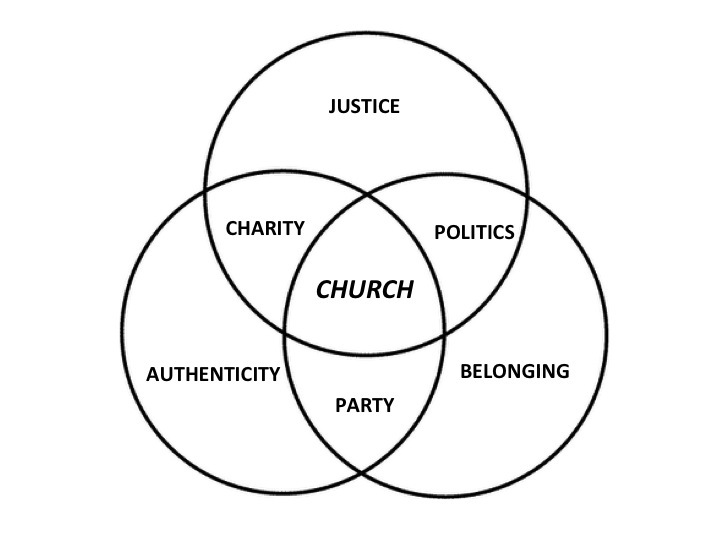 But the only place I see all 3 come together is in the Christian Church (at its best). "'With what shall I come before the LORD, and bow myself before God on high? 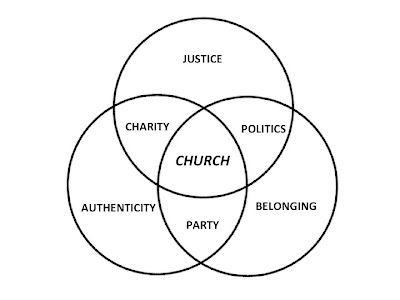 The church, at its best, is called into being by God to be an authentic community of love and justice. If the survey results are accurate, if belonging, authenticity, and justice are what we're hungry for, then the church is the only place where we'll be satisfied. McCann Worldgroup published "The Truth About Youth" in May 2011.